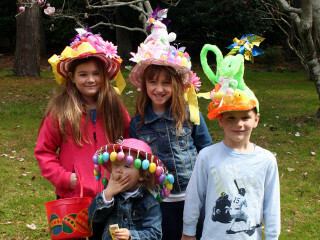 This event has become an Outer Banks spring tradition held in the midst of the beautiful spring blooms featuring an egg scavenger hunt, photo opportunities, a homemade bake sale, egg roll on the Great Lawn, story time, educational crafts, games, music, an Easter bonnet and hat contest, and more kid-geared fun. 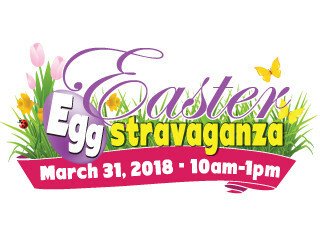 Egg spoon races, hat contest, musical acts, dancers, special visit from Sir Walter “Peter” Wabbit, make and take crafts, egg roll race, find special prize eggs to win: prizes, gift certificates, stuffed animals and more! Hop on over to attend our Easter Eggstravaganza. "Please bring your own Easter Basket for collecting eggs and prizes." "The Gardens will open at 10am on this day for the Eggstravaganza." How many eggs can you find? There will be 10,000 colorful eggs on-hand for The Elizabethan Gardens annual Easter Eggstravaganza on March 31 from 10am to 1pm. According to organizers, it’s the largest egg hunt of its kind on the Outer Banks. And it’s designed to be a family-friendly day for guests of all ages. Picture-perfect spring blooms, green grass and Easter eggs set the stage on The Elizabethan Gardens Great Lawn for this popular event. Don’t forget to wear your Easter bonnets, too. A whimsical hat contest tops off the classically fun day. And gift baskets reward the winners! But this classic event is more than just eggs. This Outer Banks tradition includes: performances by Club Violin and Mustang Music; bubbles; musical chairs; and delicious and convenient food vending - as well as egg rolls, arts and crafts, an Easter bonnet/hat contest with prizes, educational games, and plenty of kid-friendly fun happening in the unique spring beauty of The Elizabethan Gardens. Outer Banks businesses and non-profits will be at the event, bringing goodies and gifts for the Egg-hunt. Additionally, these local organizations will be decorating their area for a chance to win top prize as best-decorated participant. The Gardens is appreciative of the support of local businesses and friends who have sponsored the event. And grown-ups can hunt for savings too, at the Easter Egg Hunt Sale happening in The Gardens Gift Shop during the Eggstravaganza.